Sorry I haven't blogged in the last couple of days, have been busy! But I'm happy to say all my a level exams are now done, yay! Which means I now have a month off of school before I have to go back and begin A2s, for you who don't know what A2s are, they're the second year of a levels. Today after school a few of my friends and I went to see the Great Gatsby. I've been wanting to see the film since I saw the trailer and since the whole English department have been raving about it! I studied the novel of the Great Gatsby this year and its quite a deep novel, which I think was rather depressing as the name 'the great gatsby' is ironic because he never achieves this dream of Daisy( the girl he loves.) I had high expectations of the film as I've heard many good reviews and positive opinions. I have to say it is an amazing film, full of action, suspense and as I knew the story really well (I've read the book three times) it helped me understand it better. Its very dramatic as in some scenes you could feel the tension between Tom and Gatsby. The party scene of Gatsby's party was the highlight for me because you could see the whole 1920s time era coming through and the music was just phenomenal! Loved the sound track! The actors played it exceptionally well and I thoroughly enjoyed watching it. The use of make up and costumes really intrigued me as I love the 1920s time period as the fashion is really extravagant and different. I love trying out new make up looks and I'm curious to how they achieved those looks. However even though I did enjoy it there were a few down sides, for instance because I've studied the book I knew the story really well meaning I knew what was going to happen making it less interesting as I would rather be surprised by what happens. I think certain things were exaggerated and over the top such as Gatsby's reaction to Tom. Also, I felt key parts of the story were missing and unnecessary things were added in, for example the funeral and Jordan and Nick's relationship was cut out which I thought were vital things in the novel. Extra things were put in such as a man coming out of Tom and Daisy's house when he heard Tom and Nick which in my personal view wasn't necessary. The other aspect which I didn't like was the length, I 'm not a fan of long films anyway and I felt it could of been shorter. 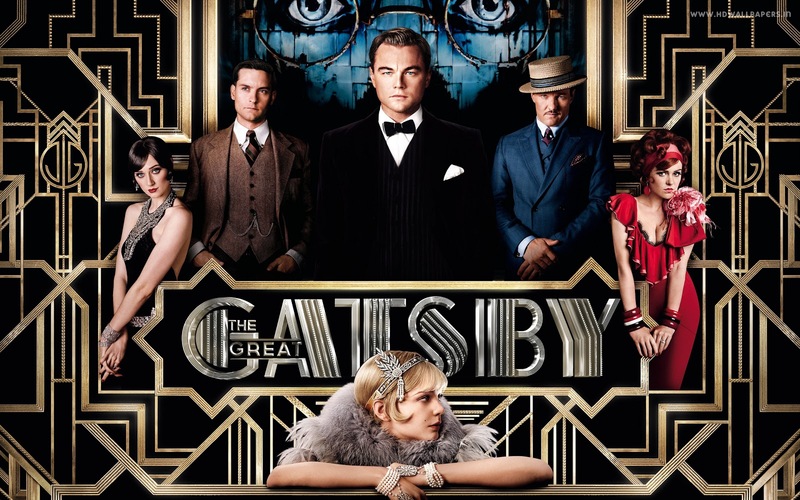 Overall, The Great Gatsby was a thrilling on the edge of your seat film because it was packed with action and lots of moments filled with suspense. Despite, key elements being cut from the original novel, the director told the story in an interesting way through Nicks perspective alike to the novel, an aspect I enjoyed. This film is full of extravagant make up and fashion looks which you'll want to feast your eyes on! A definite recommend, go and have a watch I'm sure you'll enjoy it even if you haven't read the novel. In my opinion I preferred it to the actual story as the way the director showed it brought it to life and gave it a dramatic, Hollywood feel, adapting it to the time period. I'd give this film 4 stars!